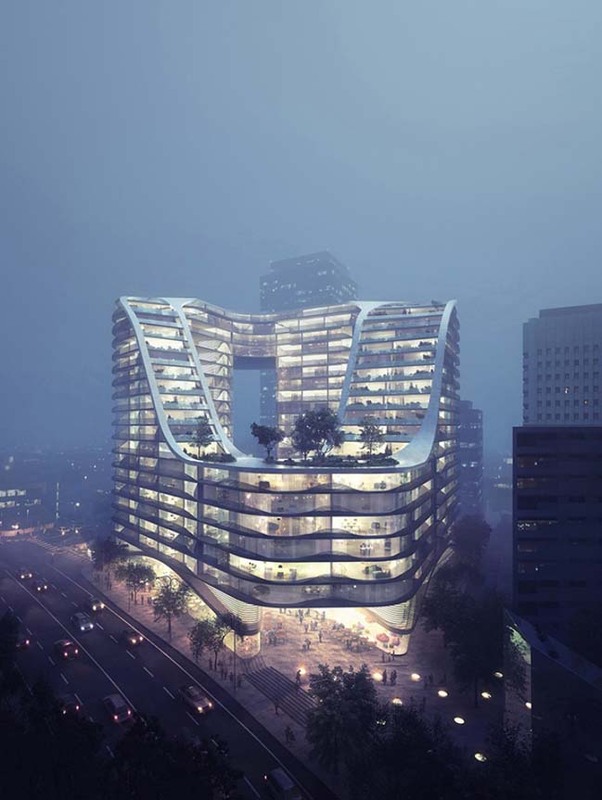 Infinity by Crown Group is a greate project was designed by Koichi Takada Architects in order to create a luxury and ambitious multi-residential complex in Sydney. Follow the architects: We see today’s residential apartment typology in cities, often defined as formulated and repetitive commercial products. Infinity by Crown Group aims to push boundaries of innovative apartment design and promote the future living and its infinite possibilities. 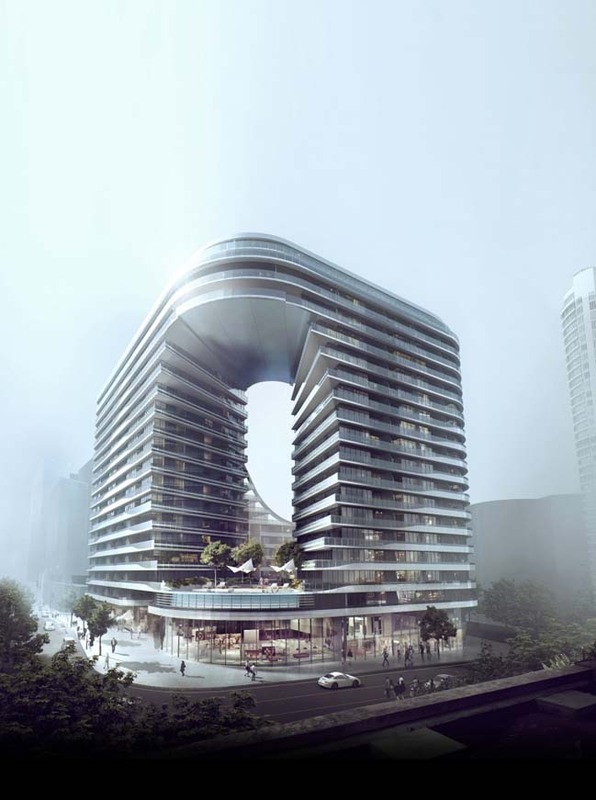 Highly controversial during the design competition process, we have overcome numbers of challenges to convince our clients and the council to endorse the design for planning approval, allowing us the opportunity to showcase the future of Sydney. 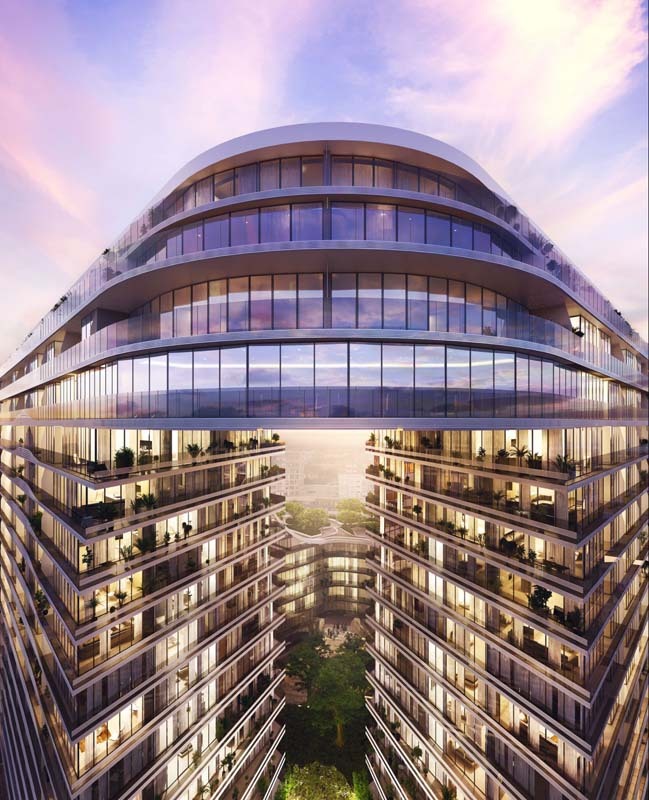 Infinity by Crown Group contains around 400 apartments, mixed-use retail & convention facility, built atop a pedestrian railway link to the train station; with a total area of 40,000m2. The design includes significant public benefits and the future needs of the precinct. We paid particular attention to natural light and the quality of public gathering space. The unique architectural loop feature, along with a void in its sun-facing façade, allows natural light to penetrate the heart of the architecture, a central public plaza, which would otherwise be shaded. Infinity by Crown Group is designed with BASIX compliance (Building Sustainability Index), and regard to SEPP65 (State Environmental Planning Policy); including good solar access to apartments, facilitating cross ventilation, rainwater collection, solar photovoltaic panels, LED lighting, equitable apartment mix for wider social economic groups, communal gardens for social interaction. 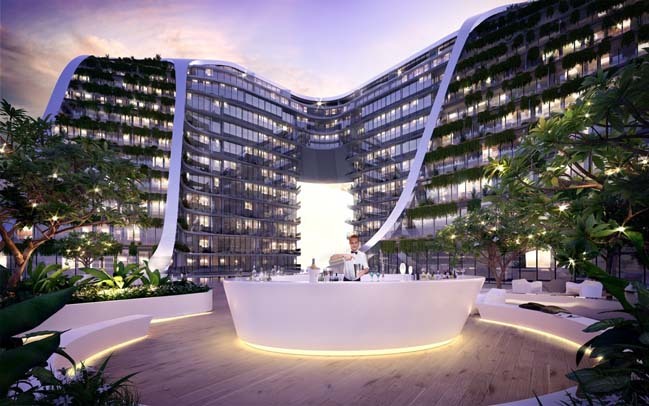 Infinity by Crown Group is a game changer and our response to our client’s most ambitious architectural challenge, to create an inspirational & landmark building in Sydney. As we anticipate its completion in late 2019, the construction has commenced on site.